Everybody knows its Alexander Graham Bell who invented the telephone. But further research would show otherwise. It's painful to be bypassed in history, to have your work stolen or someone taking credit for it. 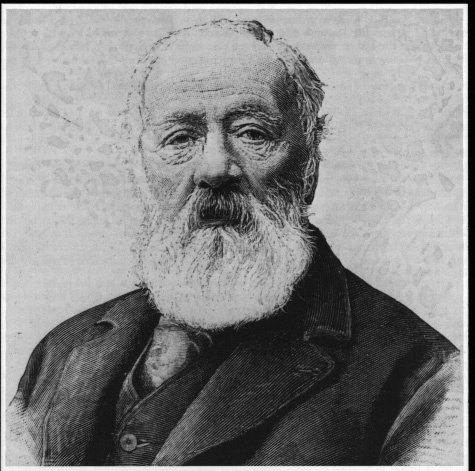 It's a pity that Antonio Meucci lacked financial support and that he could not speak English. People who promised to help him didnt do so.
" In 1876, Alexander Graham Bell filed a patent which does not really describe the telephone but refers to it as such. When Meucci learned of this, he instructed his lawyer to protest to the U.S. Patent Office in Washington, something that was never done. However, a friend did contact Washington, only to learn that all the documents relevant to the "Talking Telegraph" filed in Meucci's caveat had been "lost." Later investigation produced evidence of illegal relationships linking certain employees of the Patent Office and officials of Bell's company. And later, in the course of litigation between Bell and Western Union, it was revealed that Bell had agreed to pay Western Union 20 percent of profits from commercialization of his "invention" for a period of 17 years. Millions of dollars were involved, but the price may been cheaper than revealing facts better left hidden, from Bell's point of view. In the court case of 1886, although Bell's lawyers tried to turn aside Meucci's suit against their client, he was able to explain every detail of his invention so clearly as to leave little doubt of his veracity, although he did not win the case against the superior - and vastly richer - forces fielded by Bell. Despite a public statement by the then Secretary of State that "there exists sufficient proof to give priority to Meucci in the invention of the telephone," and despite the fact that the United States initiated prosecution for fraud against Bell's patent, the trial was postponed from year to year until, at the death of Meucci in 1896, the case was dropped."